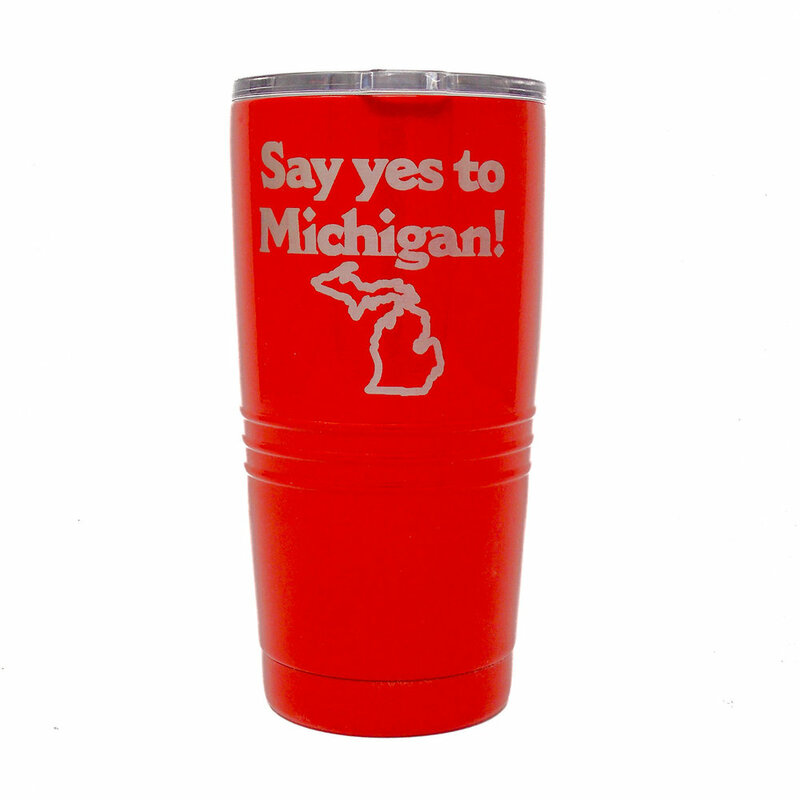 Relive the classic ‘Yes, Michigan!’ tourism campaign from the 1980’s with our 20 oz. stainless steel insulated tumblers. We take plain stainless steel tumblers and powder coat them in our Southwest Michigan workshop. Once the powder coating is baked on, the tumblers head over to our laser machine to have the slogan and state outline etched onto the tumblers. 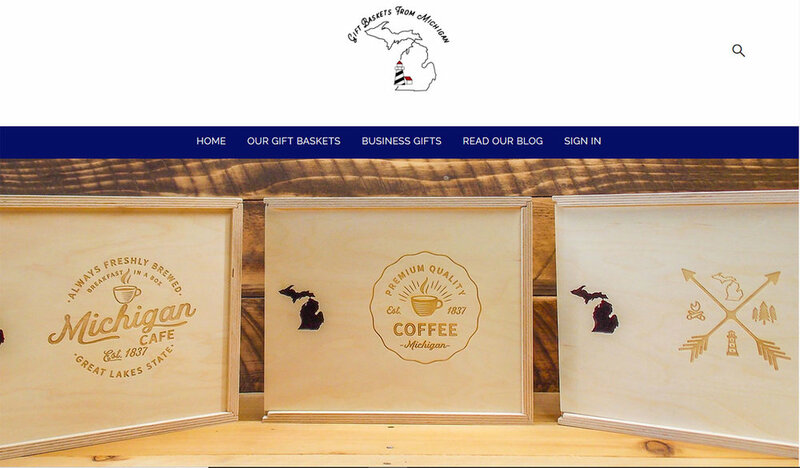 If you’re looking for some delicious coffee to brew for your new tumbler, be sure to check out our Michigan Coffee Gift Box featuring Keweenaw Coffee Works coffees. We have been working behind the scenes the last two months finalizing the new look Gift Baskets From Michigan website. Our new website is a big upgrade over our old one in terms of performance and user experience. We hope you enjoy it as much as we do! The one downside was the inability to transfer the customer accounts due to incompatibility issues between the old system and the new. Thankfully, setting up a new account is a quick process and you can get that done right here. So, take a look around, browse our gift baskets, get information about sending business gifts, and maybe even have us create custom gift boxes with your logo! Hi Everybody! Due to the extreme heat today and through the weekend we will not be shipping any orders on 6/29/18. Even with insulated boxes and cold packs, things will still melt in the extreme heat. Just a quick programming note here - we will be closed January 20, 2011 through February 1, 2011. All orders placed by 5pm Wednesday, January 19th will ship on January 20th. Orders placed January 20, 2011 through February 1, 2011 will ship Wednesday, February 2nd. Currently, we accept phone orders Monday through Friday from 9am to 5pm. Beginning the week of June 28, 2010 we will accept phone orders Monday through Thursday. We're going to give this a trial run during the summer and see how it goes. Just as always, you will be able to place online orders 24 hours a day 7 days a week. Also, nothing will change with the shipping of your order - that time frame will remain the same. We will also still respond to email inquiries on Fridays. In the summer, the majority of our phone orders come Monday through Thursday anyway so that is why we are experimenting with this new schedule. Come Labor Day, we'll reevaluate it and move forward from there. Just a quick note to let you know that we will be closed on Friday April 2, 2010 in observance of Good Friday. Also, our store will be closed April 7th & 8th. Online orders placed on these days will ship on the next business day that we are open. Thanks & have a Great Day!